For those looking to adopt a healthier, more environmentally-friendly "flexitarian" diet, human nutrition specialist Tay Mia Eng suggests making a slow shift, starting with replacing some familiar foods with healthier plant-based options that are rich in protein. Beef lasagna can be changed to tofu-based lasagna. Have bean soup instead of pork soup. Replace ham and cheese in a sandwich with avocado and peanut butter. She said: "Plant-based food should be increased gradually into our daily diet. The change should be an evolution rather than a revolution. If Singaporeans are told to make a radical change to their diet, they will not accept it." More plant-based foods have been introduced in recent years. 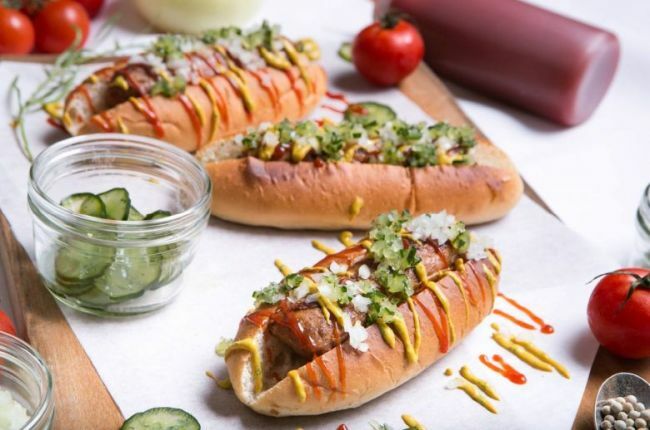 In its efforts to be environmentally sustainable, the Grand Hyatt Singapore hotel yesterday launched Beyond Sausage - a vegan sausage made of peas, fava beans, rice, beet and coconut oil. Vegetarian Society president George Jacobs said there are plenty of plant-based substitutes for eggs and dairy available now, from oat, rice and soya milk to cheese made from cashew nuts and an egg substitute called Just Egg, made from mung beans. Dr Jacobs, 66, who started shifting to a vegetarian diet 40 years ago for moral reasons, said: "I think the change should be viewed as a chance to explore new options rather than as a sacrifice. "Many delicious foods like hummus and salsa are vegetarian. And there are great vegetarian versions of local favourites like Penang laksa and bak kut teh." He uses mobile app HappyCow to help him find restaurants with vegan and vegetarian options and there are more such options today than when he first came to Singapore in 1993. "I'm thrilled if people would just take the first step... When I first started out, I thought I could never give up cheese and yogurt," said Dr Jacobs, whose wife is a "flexitarian".